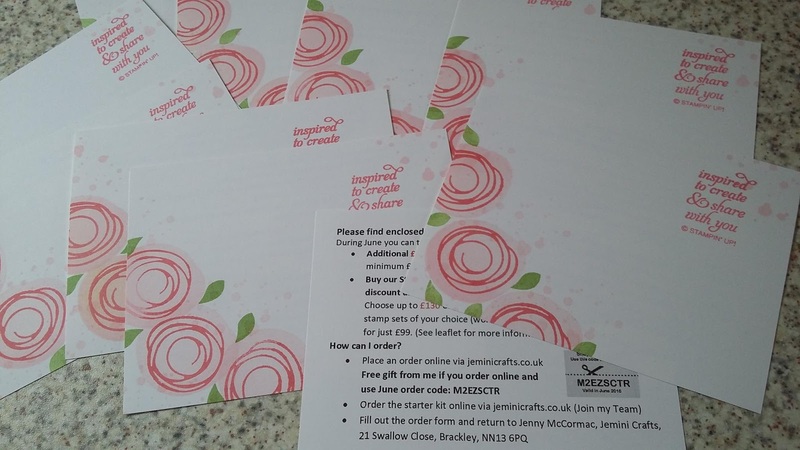 Jemini Crafts: It's about to go live! It's about to go live! Yes, hopefully by the time you will be reading this message, the brand new Annual Stampin' Up! catalogue will be live in the UK. If you have not received your copy today (1st June) then make contact with me and see if you are on my VIP list to get your own copy of the catalogue in the post. You will also be able to view all 200+ pages online via the link to the right. Here are the cards and details I sent out with the new catalogues this week. The decoration on the front of the welcome note is made with the Swirly Bird stamp set. 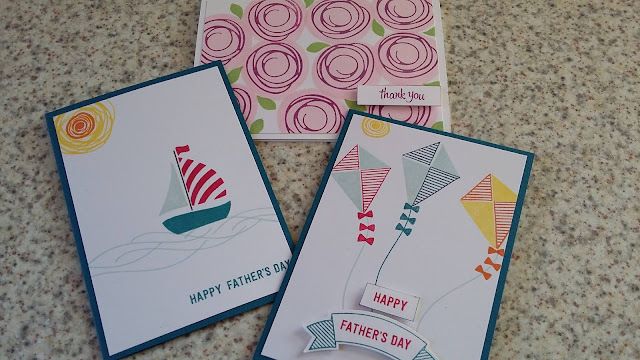 The extra sentiment is so true: I am truly "inspired to create and share with you"
I shall be featuring Swirly Bird in our #coffeeandcard session on 1st June, samples below. I know this catalogue will prove to the best ever - and there's never a better way to enjoy the new products than buying them all at a discount. HOW? Contact me to find out.